"Spring Oaks and Blues Skies in California"
We were out for a hike today in Rancho San Antonio in the Cupertino Foothills enjoying a break from all the rain. 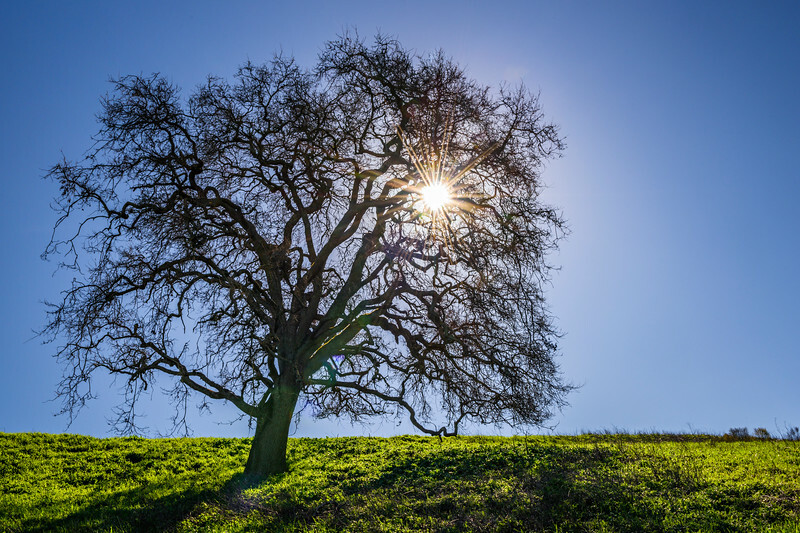 The lush green grass and blue sky created a nice contrast with the outline of the Oak Tree and starburst from the sun. I can't wait until later in Spring when the tree starts to have leaves and flowers on it.